Both will soon remove artificial ingredients from their menus. However, parent company Yum Brands did not say anything about its KFC chain. Yum Brands fast-food chains Taco Bell and Pizza Hut said on Tuesday that they will soon remove all artificial ingredients from their products, joining a growing trend of restaurants making healthier decisions. Taco Bell will nix artificial colors and flavors, as well as high-fructose corn syrup and unsustainable palm oil, by the end of the year. It will also say goodbye to as many artificial preservatives as possible by 2017, according to the Associated Press. 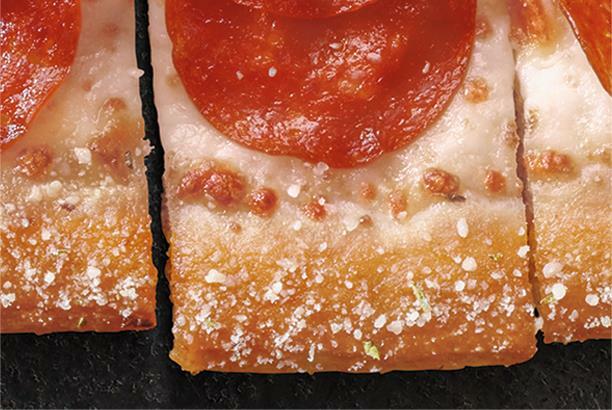 Pizza Hut plans to remove all artificial flavors and colors by the end of July, and it will lower sodium in its products by the end of the year, according to a notice on its new Hut Life external blog. The brand launched the blog on May 6 to tell brand stories and engage consumers globally beyond selling pizza. The pizza chain tweeted about its "new brand standards" on Tuesday afternoon. Taco Bell also posted a news release about the transition on its website. While the Mexican food chain didn’t tweet about the changes, its parent company retweeted Canadian Business Franchise magazine’s post about the news. "We used the blog to post the release first and we will use it moving forward to talk in much greater detail about how we got to this point of removing these items," said Pizza Hut PR director Doug Terfehr, via email. "The blog will contain a steady drumbeat of behind-the-scenes information related to this announcement." He added that he cannot reveal further details on strategy for "proprietary reasons," but the plan will include additional content across social media. Representatives from Taco Bell were not immediately available for comment. Yum Brands did not release any information on Tuesday to indicate whether its KFC brand will remove artificial ingredients. Representatives from the fried-chicken chain were not immediately available for comment. A number of other national restaurant chains have recently promised to make their menus healthier. Panera said earlier this month that it will rid its menu of at least 150 artificial sweeteners, colors, flavors, and preservatives by the end of 2016. In March, McDonald’s said it will only use chickens raised without antibiotics within the next two years. Later this year, the chain will also exclusively use milk from cows that are not treated with the artificial growth hormone rbST. Chipotle also said this month that it will cut genetically modified ingredients from all menu items across its 1,800 restaurants. This article was updated at 4:30pm ET on May 26 with comment from Pizza Hut.